Amalgam – Free - Stephen M. Sgrazzutti D.D.S. 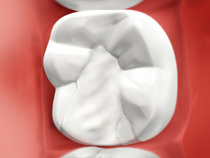 Patients who prefer amalgam-free dental fillings will be delighted to know that Stephen M. Sgrazzutti D.D.S. 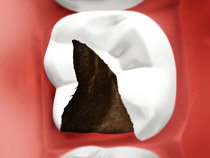 can work with a variety of restorative materials, including those that are free of mercury or amalgam. Whether you need something as simple as a filling replaced, want to explore the aesthetic difference that a crown could make on a discolored or damaged tooth, or need more complex procedures like replacement tooth implants or root canal therapy, Stephen M. Sgrazzutti D.D.S. can work with you to devise a treatment plan aimed at repairing or replacing your natural teeth without the use of amalgams, giving you the healthy and beautiful smile you deserve.